Our energy centers are points of contact with the aspects of our being that are beyond the physical, but they are also intrinsically linked to the body that we see and feel. You can think of them as a gateway to your spiritual self. At the etheric levels of your being (in the spiritual world that we don't normally see but we sometimes 'sense'), the major energy centers lie at seven particular points along your spinal column. When we engage in positive, loving or devotional activities, the spiritual life-force (kundalini) rises up the spine, nourishing the centers and giving us a feeling of vitality and joy. Chakra is a sanskrit word often used to talk about these energy centers, and it simply means 'wheel' or disc'. The symbolic representation of a chakra is a lotus, with each chakra-lotus having its own particular number of petals. The greater the number of petals, the higher the frequency or vibration. As light flows through the chakras, it activates them. You can imagine this as the wheels 'spinning' or the lotuses 'blossoming'. As each energy center 'spins', it radiates its own unique color - one of the seven rainbow rays of God's light - at the spiritual level. The stronger and more pure emanations show a strong and balanced flow of energy. Weaker and duller emanations mean that the flow of energy is blocked. Having a blocked energy center can create fatigue, health problems, or emotional imbalances. When energy flows freely through an energy center, we feel energetic, creative, and at peace. Please note that the colors of the chakras given on this page are the pure, original color patterns. Some clairvoyants report seeing varying different colors for the chakras - this reflects the subdued or muddied tones that can surround our chakras when they become blocked. It's ideal to tune into the perfected vibrant colors that you see here. Let's begin at the bottom and work our way up through the energy centers. This is found, as you would expect, at the base of the spinal column. It has four petals and its color is pure white (the picture here was made light blue just so that you could see the shape). This is where the life-force is stored and the rest of the chakras count on the base chakra being clear and free-flowing so that the light can rise to nourish all the chakras. Positive expressions of the base chakra are practicality, hope, joy, discipline, wholeness and procreation. Unbalanced expressions would be discouragement, hopelessness, impurity and chaos. This energy center is helpful in planning, striving for excellence and perfection, and expressing harmony and symmetry in fields such as music, art, sculpture, architecture, technology and mathematics. The soul chakra is located midway between the navel and base of the spine. Its color is vibrant violet and it has six petals. This energy center is the point where we make contact with our soul and receive her impressions and guidance. Positive expressions of the energy of this chakra include freedom, mercy, forgiveness, justice, transcendence, alchemy, transmutation, diplomacy, intuition, prophecy and revelation. Unbalanced expressions would be lack of forgiveness, justice or mercy, intolerance, lack of tact, disregard for others, and cruelty. The violet-colored energy of the soul chakra is the same as that of the violet transmuting flame that we can call upon to erase our karmic burdens. The navel is the location of this very physically-connected chakra. The colors are purple and gold with ruby flecks and it has 10 petals. This energy center focuses the positive qualities of peace, brotherhood, selfless service, right desire, balance and harmlessness. Unbalanced expressions include anger, agitation, fanaticism, aggression, egoism, over-indulgence, fear, anxiety, and passivity. Gaining mastery of your emotions and desires is the lesson of this chakra. Imbalance here can be felt quite physically through "butterflies" when you're anxious and "knots" or other tightness in your stomach when you're angry and agitated. You can probably think of others. Maintaining peace in your being allows the light to rise to the next energy center. This beautiful rose pink lotus has 12 petals. Situated in the center of the chest, it is the epicenter for all those concepts that we have about the heart that don't concern its physical blood-pumping function. Love, compassion, beauty, selflessness, sensitivity, appreciation, comfort, creativity, charity, and generosity are all positive expressions of the heart. Unbalanced expressions include hatred, dislike, selfishness, self-pity, negligence, and human sympathy. Sympathy allows us to feel sorry for ourselves, indulge our weaknesses, and it validates a sense of victimization. Compassion, on the other hand, uplifts others so they can realize their full potential. Compassion doesn't leave someone who is hurting where it finds him. It takes practice to discern the difference between sympathy and compassion in your own interactions but it is well worth the effort for the well-being and spiritual progress of yourself and the other person. 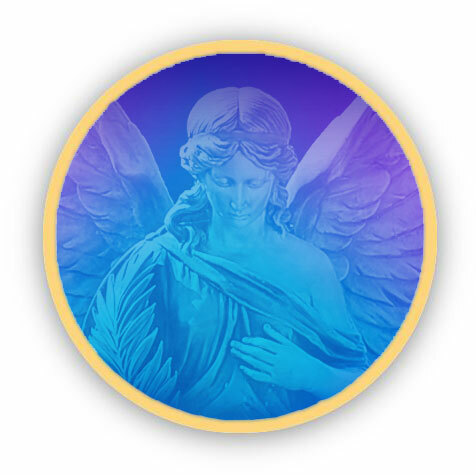 This is a brilliant blue energy center with 16 petals, found at the neck. Mastering the energies of this chakra involves power, will, faith, protection, direction, courage and obedience. Due to well-publicized misuses of the throat chakra, some of these qualities such as power and obedience have been given a bad press. We're focusing here on the right use of power - it's a "What would Jesus do?" situation (or "What would Buddha do? ", if you prefer). Unbalanced expressions include control, condemnation, idle chatter, gossip, human willfulness, impotence, cowardice and doubt. Practicing the Science of the Spoken Word through decrees is a positive use of the throat chakra. This is emerald green with 96 petals and it sits between the eyebrows. I always thought it was a little odd and sci-fi-ish to be imagining an extra eye, but it's not really like that. It's an energy center that anchors the energies of vision, truth, holding the highest vision of self and others, healing, wholeness, abundance, clarity, constancy, and focus, and governs the disciplines of music and science. Unbalanced expressions would be falsehood, lack of vision, mental criticism, lack of clarity, and inconstancy. Our intuitions and insights (in-sight = looking within) come through the third eye chakra. When you visualize something (see it in your mind's eye), you are using the power of the third eye chakra. Some people occasionally 'see' things on a spiritual level, beyond the physical - this is coming through their third eye also. Don't be anxious if you don't 'see' things; this ability has nothing to do with spiritual attainment and it can actually be burdensome and frightening to see what's really going on behind the scenes. Focus on developing your ability to visualize perfection in the world. That takes real mastery! Its color, golden yellow, is what is often depicted as a halo or corona of light around the heads of saints, Buddhas and others who have attained mastery of the crown chakra. Through this chakra we receive wisdom and enlightenment. Positive expressions include illumination, self-knowledge, understanding, humility, cosmic consciousness and open-mindedness. Unbalanced expressions would appear as intellectual and spiritual pride, vanity, intellectualism, ego-centeredness, narrow-mindedness, and ignorance. We can tap into our higher intelligence through meditation on the crown chakra. 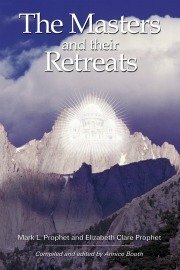 from the Pocket Guides to Practical Spirituality series, which goes into lots more detail. It's small (easy to take traveling) and includes short anecdotal stories that illustrate its points quite effectively. Now that you've gained some knowledge of energy centers, would you like to read about the human aura, the energy field around you where your chakras reside?